SnapCacklePop: The RIDICULOUS Reece Mastin competition..! 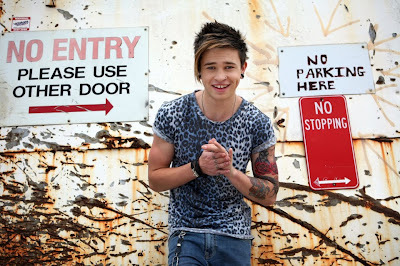 The RIDICULOUS Reece Mastin competition..! You and any Little Rcokers out there are going to love us at SCP HQ. Thanks to our friends at Sony Australia, we have a double pass for each of Reece Mastin’s metro shows! Yup you read correctly! We have 9 sets of double passes, 1 set per Metro show to see the X-Factor winner in his forthcoming Summer Nights Tour, which will feature support acts from Justice Crew and Janoskians. OMG that is just totes amazing, how do I enter? Well at SCP HQ we know you love to tell us about you perfect date with Reece so we ask you, what would your perfect Summer Night be with Reece Mastin? Yup tell us in 25 words or less what you would with Reece on a Summer Night and email your entry to SnapCacklePop along with your name, address and contact phone number. Please note, flights & accommodation are not included in the prize. Its just the tickets, we're nice at SCP but not that nice..! Competition closes at midnight day before each of Reece Mastin gig. Good luck with your entry. Check out the below video of Reece and good luck..!